Today I've posted two wonderful digital women downloads of women's fashion illustrations. 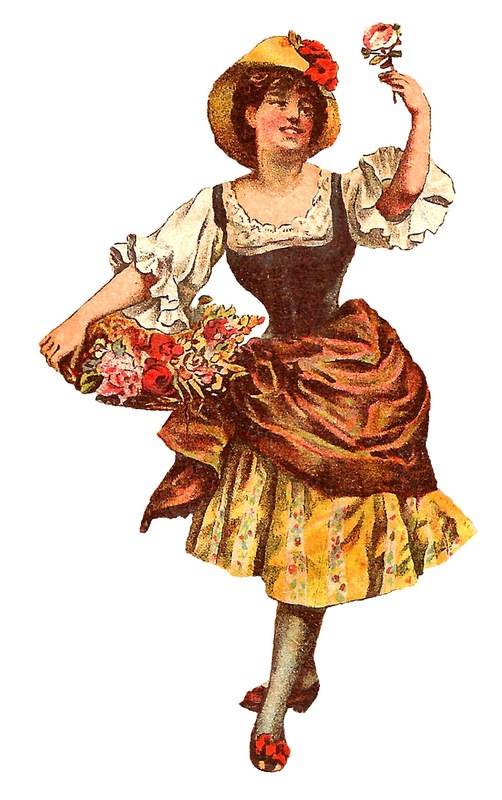 The first digital fashion clip art is of a pretty women wearing a dancing costume. The crescent-shaped headdress and the fancy, gold dress she's wearing are whimsical and beautiful! The contrasting, magenta tights are great as well. 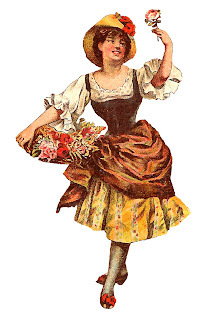 The second digital fashion clip art is another pretty women wearing a lovely antique dress with a large bustle. The under skirt is so cute with the striped and floral pattern and design. 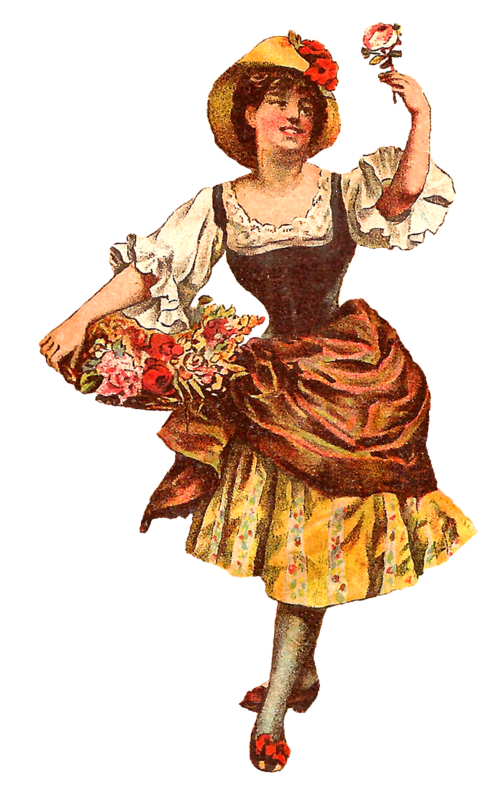 She's carrying a full basket of roses. And, those red roses on her shoes are a perfect touch to her outfit.